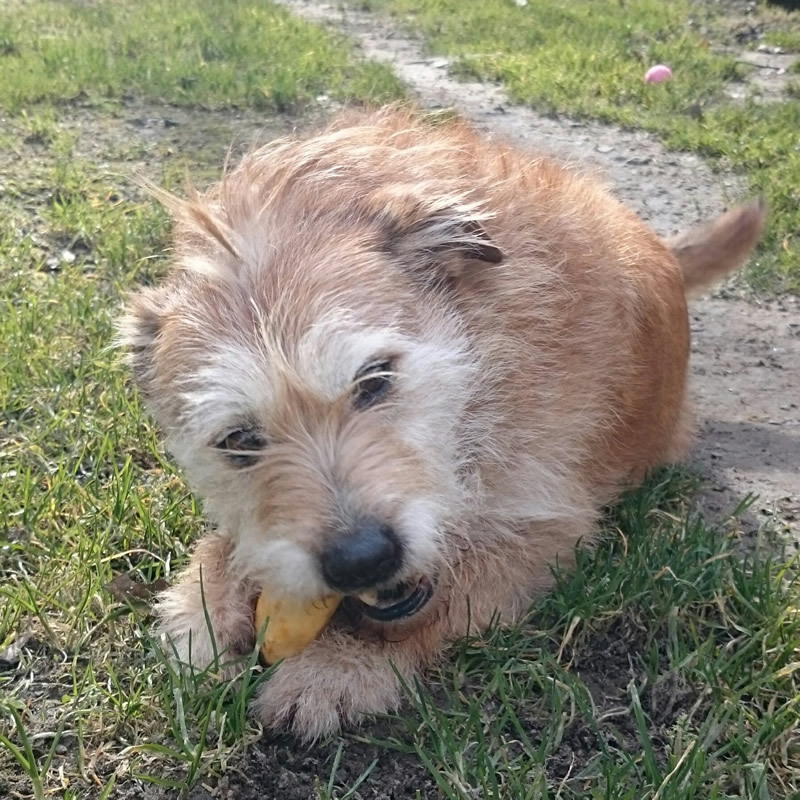 Scooby is a Terrier crossbreed at approximately 6 years old. After spending time in a new home he was unfortunately returned to us back in 2012. He is the happiest, most enthusiastic dog you could ever meet. Scooby is his own dog and will do as he pleases which is not to say he is not obedient. His enthusiasm runs away with him sometimes and can end up doing silly things like swinging and chewing on his lead and in excitement your fingers! 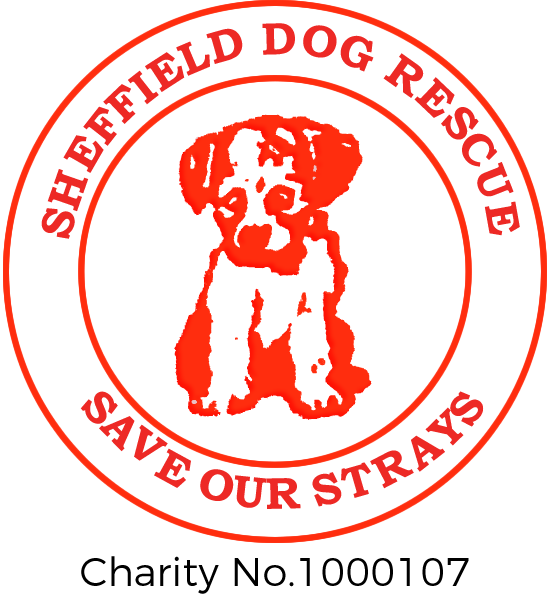 Unfortunately for this reason we are unable to re-home him and he has become a long term resident at the rescue. However, Scooby doesn’t seem to mind being in the kennels as he now thinks of it as his home. He goes in the garden everyday to play ball (his most favourite thing to do) and goes on plenty of walks where he has whole fields to himself to run around and roll in the grass. He is good with other dogs and his recall is great so we often let him run free on the walk with his ball.